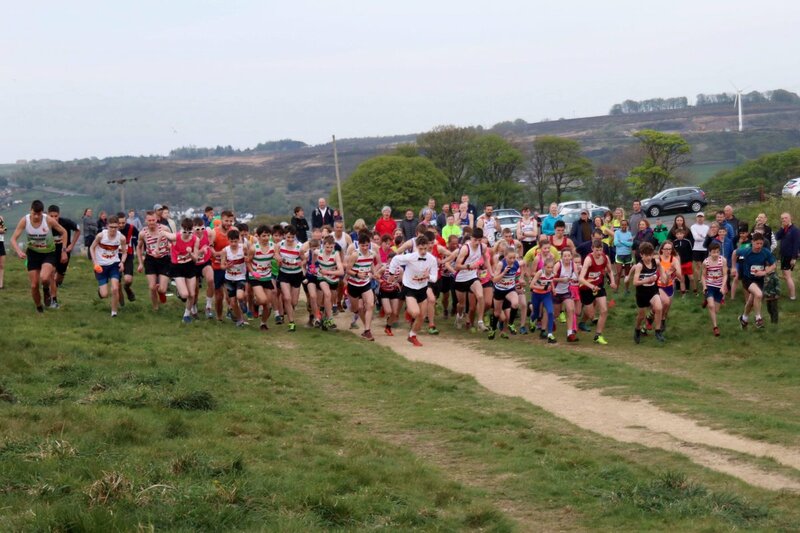 2018 marks the 35th Soreen Stanbury Splash race that is proud to still be associated with Soreen Malt Loaf and Wharfedale Harriers were extremely honoured to be handed the baton for organising the “Woodentops” races by the legends that are Dave and Eileen Woodhead who created and first staged the Stanbury Fell Race in June 1984. 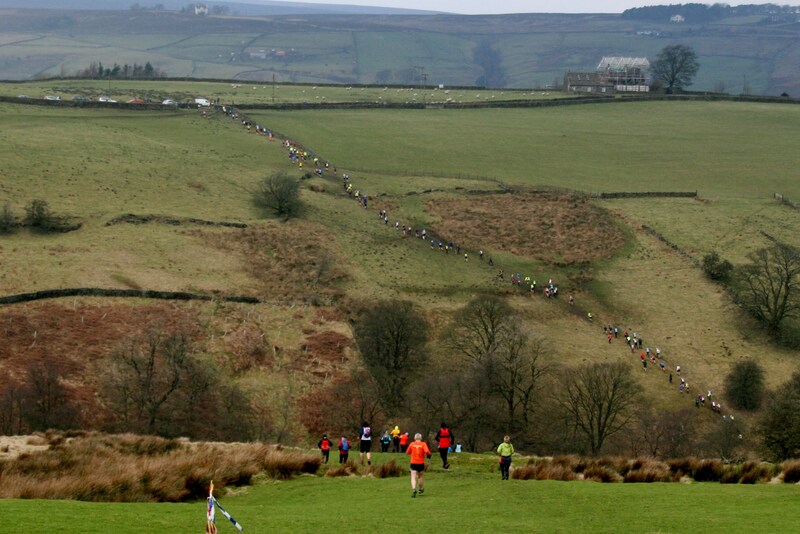 The microclimate that exists around the moors above Haworth, and is wholly independent of any national or local forecast, was kind in providing fine conditions with intermittent sunshine for both the Saturday flagging of the senior course and, the main run on the Sunday. Consequently, the route was the true Stanbury Splash one rather than the shorter “snowed in” route the follows the Stoop course, as seen in some previous years. However, recent wet weather had ensured that the race retained it’s key features of muddy puddles and bog fest appeal along the route down to Sladen Beck and around Ponden Kirk. 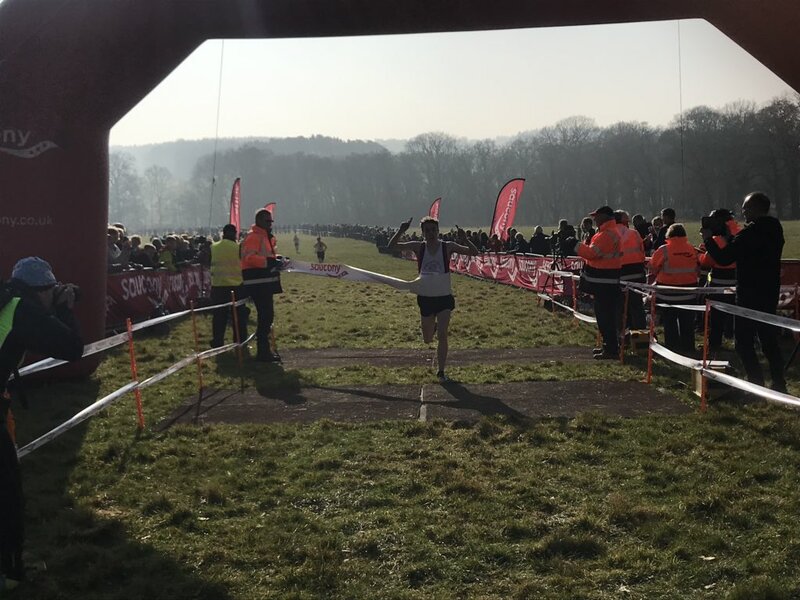 Ilkley Harriers’ Jack Wood and 15 times Splash winner, Ian Holmes (Bingley Harriers), entered into an early battle of the giants for first place. Indeed as they descended the first charge down to Sladen Beck, Holmes was in the lead with an eager Wood on his tail. 6.7 miles is a long way and Wood’s youth and vitality stood him in good stead as he powered away. By the time they dropped into the finish funnel Wood’s “good run out” reaped rewards as he won from Holmes in 45.44, 40 seconds ahead of Holmes who had to settle for 2nd place as well as 1st veteran prize, and1st MV50. 3rd man home was Robin Howie. Wharfedale Harriers’ Dave Kirkham was 1st vet 40 coming home in 17 place overall. Calder Valley’s Stephen Morran was 1st vet 60 and Rossendale’s Ken Taylor was 1st vet 70. Rising star Ruby Sykes (Holmfirth Harriers) who has enjoyed success as a junior fell and cross country runner won the ladies race in 54.38, from Todmorden Harriers’ Annie Roberts (56.03) who is also enjoying fell running success. 3rd lady and 1st lady veteran home was Haworth GP Jo Buckley of Calder Valley (58.06), repeating her performance of 2017. 1st vet 50 was Spenborough’s Natasha Geere (63.38) and 1st vet 60 was Stainland Lions’ Aileen Baldwin (70.34). In the junior quarry runs a hardy turnout of 27 Lean Mean Squidgy Machine U9 runners lined up in the quarry bottom to earn their goody bags and Soreen malt loaf. To earn these goodies they must first plough their way through a legendary puddle that never dries and climb out of the quarry twice before a mad sprint to the finish. Wharfedale’s Hugo Bishop (2.46) and Keighley and Craven’s Bethan Buckley (2.52) took the titles. Bethan is a regular at the quarry runs and won the Stanbury Splash quarry run outright in 2017. 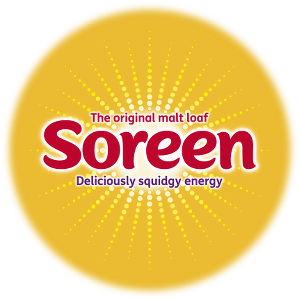 In the main combined junior quarry run, which takes in a run around the pond and Trig point on Penistone hill a serious 82 runners lined up with the aim of demolishing the course and then their Soreen malt loaves. 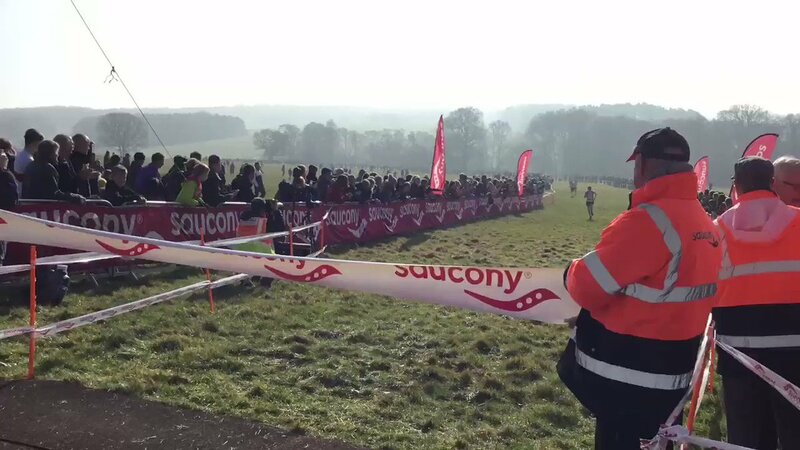 Many juniors who would normally compete in these races were absent, having run in school county qualifying races the previous day. The U11 races were won by Keighley’s Katie Buckley (7.43) and Holmfirth’s Declan Levay (7.44); the U13 races were won by East Cheshire’s Luke Carrington (7.21) and Bingley’s Martha Jackson (7.27) while the U15 races were won by Wharfedale’s Sam Smith, who had won the North Yorkshire School’s Junior Championship the previous day, (6.13) and Otley’s Charlotte Rawstron (7.40). The 2 lap U17 races were won by Keighley’s Eric Beaumont (12.34) and Otley’s Holly Davey (15.15).